To eliminate the signs of aging, a latest as well as promising treatment has been introduced in dermatology and it is known as Active FX. In laser resurfacing, the gold standard is known as Active FX. It is better known as micro fractional carbon dioxide laser procedure as like fractional laser it is very unique and treats only a percentage of the entire skin surface. It is used to improve the appearance of wrinkles, dark spots, fine lines, scars as well as other irregularities that appear on the face, chest and neck. What is Active FX used to treat? It is used to treat fine lines and wrinkles along with pigmentation. The fine lines present under the eyes as well as around the lips are mostly treated by Active FX. Pore size is also reduced by this treatment. Who can go through the treatment? Teenagers and people till the age of 90 are the perfect candidates. Teenagers with breakouts and scars caused by acne. Individuals with visible signs of aging such as wrinkles, loose skin, acne scars, creases as well as dark pigmented areas. 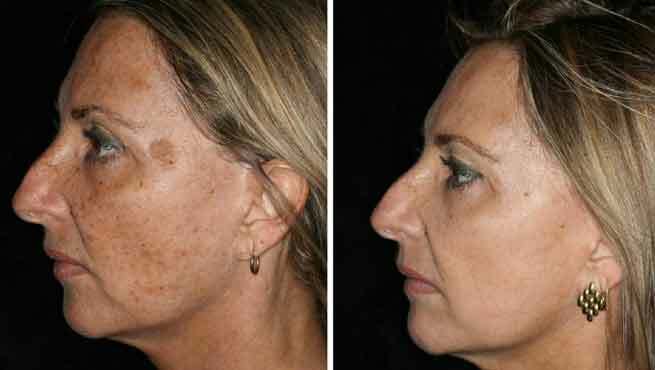 People who have a busy lifestyle and want such a laser skin resurfacing treatment that takes a very few time. Why choose Active FX treatment? It is a well known treatment. It can be used to treat more superficially as and when required during pigmentation issues. This superficial treatment is of less risk and is suitable for darker complexion. Clinical benefits last for significant time after the treatment. It is a safe treatment and will produce natural result. It will help people who are aging look great. The treatment can be conducted within half an hour. Hence it is a quick procedure. It will provide you excellent results within a short period of time. It involves no cutting or needles and hence no bruises also appear. Due to the stimulation by the laser, collagen production occurs. This produced collagen continues its build up process under the surface of the skin. Hence the skin appears to be firmer, tighter and smooth. Pore size, fine lines as well as wrinkles will be reduced. Since the fractional laser treats only some portion of the skin, that area is healed faster and the complications are also reduced. You should avoid getting tanned and reduce sun exposure for three weeks before the treatment begins. Patients with hyperpigmentation should inform the doctor about this. To help minimise the swelling as well as the healing time some medicines can be used. If you are wearing contact lens, then you should remove it before the treatment. At fist the physician applies a topical cream to numb the area that will be treated. 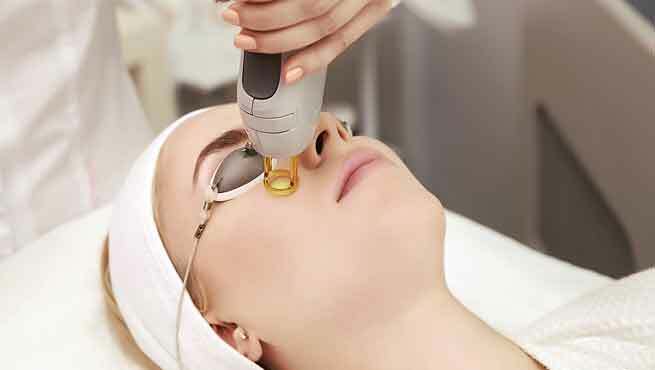 After 30 minutes, the surgeon directly places a laser beam with high energy on the skin’s surface. Then the laser interacts with the skin’s layers. The top skin layer is gently removed by the laser. Fresh and healthy skin layer lying beneath is revealed. Discoloration is amended, creases are filled in and other imperfections are either removed or lightened. Other than this, collagen production occurs due to laser stimulation and thus tightening of the skin is seen. Once the treatment is over, the skin looks smooth, fresh and healthy. The people who go through Active FX treatment can expect 3-5 days of peeling, swelling and crusting that can be mild or moderate. Swelling usually occurs in the face and eyes. Itching is very common and is mostly mild to intense. The itching usually stays for some days. After this 1-2 weeks of redness occur. Yellowish drips appear on the skin. The process of cleansing is a little bit uncomfortable during the first two days. The skin appears to be very tender when you touch it. So you should be careful and gentle with your skin. How does the healing take place? It generally varies from one individual to another. But one can expect the face to heal within 5-6 days, neck within 7-10 days and the chest within 10-14 days after the treatment. Once the skin heals, appearance of dots all over the skin is very common. When the skin begins to peel off, you should not pull, scrap or peel it. You should let the skin flake off. At first night you should sleep on your back with your head slightly raised. If any ointment is appiled, you should place a towel on the pillow. Try to avoid dust, dirt and exposure to sun during the healing process. If you feel any discomfort, you should use vinegar soaks. Wash your face twice daily with a gentle cleanser and water. Apply ointment after washing your face or whenever required. Reapply as necessary. If itching begins after 2 days of the treatment, avoid scratching or pricking the area that has been treated. Start with regular skin care routine after the treated area has healed. It depends on the size as well as the severity of that particular area that should be treated. So anyone who is going to have an Active treatment on the face should expect to pay something between $1200 and $3000. But if you opt for neck and chest treatment, then the price can be more than this. By using Active FX treatment, results will appear in one week. The skin will look youthful and will be healed well. Skin improvement continues for many months after the treatment is completed. After 6 months the treatment can be repeated. But most of the people who go through this treatment are usually satisfied with the first procedure’s results. People who go through this treatment experience a little discomfort after the treatment is over. The treated skin will appear to be dry and pink in color. But within 1 week, the damaged layers of the skin present on the top will peel off. Within a few days, new skin will replace the damaged ones. The skin will be also back to its normal color. Smoother and tighter facial skin along with contours will appear. The eyelid skin will also become tighter as well as more lifted. If the neck area is treated then it will be wrinkle free and will appear to be smoother and tighter. The vertical lip lines will also be softened. So if you are after smoother and younger looking skin, then you should opt for Active FX treatment. With one treatment, your skin will look more lively and bright. But it will require well dedicated care after the treatment along with proper maintenance at home. Read Also – The A-To-Z Of Chin Augmentation – Get Ready For A New Chin!